I often trump Google as being my Search Engine of choice and one of the main reasons behind this is due to the relevancy of the results that it returns.Most would just take these results for granted but I believe that sometimes it’s nice to know what factors contributed to a page being recommended to me.If you have a website then a basic understanding of Search Engine processes will set you in good stead as understanding how they recommend sites is the first step to learning how improve your own positioning in the results. Allegedly there are currently around 150,000,000 websites active on the Internet and, as such, getting them in to any kind of order isn’t a particularly easy job.In order to catalogue websites in to their database the search engines employ the use of computer programs known as ‘spiders’ which follow links from one website to another, documenting pages as they go.When you perform a search they refer back to this database of pages and return a series of results by matching your query with text stored on the pages title, content, URL, image text or even in the META tags; this is code programmed in to the page which is only normally visible by Search Engines. The results are sorted in an order based on a specific algorithm that the Search Engine has chosen to employ; as such a website won’t rank the same over every engine for the same keywords.Whilst I have oversimplified the process, the concept in theory doesn’t usually get a huge amount more complicated than this. Google is a little different however as they have patented a technology known as PageRank which provides another important element to this algorithm by assigning a score as to how important they believe a page to be in the wider context of things.Typically a page with a high PageRank will rank higher in the search results than one a lower scoring site. Google establishes a PageRank in part by counting the number of other websites that link to it; each link to the site is counted as a vote towards its overall ‘importance’ with they theory being this being that a high quality site would usually have more people linking to it than a mediocre one. Not all votes are considered equal however; a link from a high ranking website for example will carry more clout than one from a low ranking website so if a webdesigner creates a thousand empty websites and gets them to link back to his main site then it won’t artificially increase his ranking.The quality of the vote will also be determined by a number of other factors such as the amount of links a specific website has already extended; a link farm that provides a link to a site and then 50,000 others probably isn’t seen as being particularly valuable. If you do happen to run a website and are looking to increase your visibility on Google then I can’t really go wrong in suggesting that you fill your site with a large amount of useful, interesting and unique content and then work on obtaining links from as many relevant sources as you can; usually these can be obtained for free by simply asking.These links will hopefully in time improve both your PageRank and consequently the flow of visitors to your site. 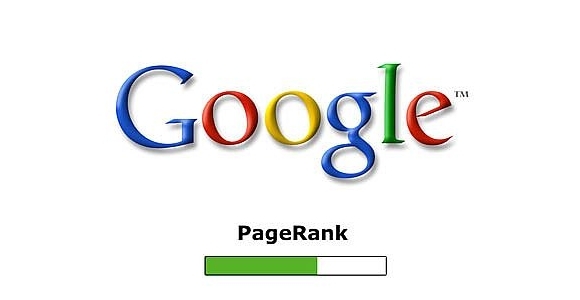 If you want to check up on the PageRank of a particular site then download and install the free Google toolbar from http://toolbar.google.co.uk.